In a rare visit to Albany on Monday, U.S. Attorney Preet Bharara of New York’s Southern District appealed to honest politicians and others in state government to call out corruption when they see it. The address and interview with WAMC’s Dr. Alan Chartock was co-sponsored by four good-government groups: Citizens Union, Common Cause New York, the League of Women Voters and the New York Public Interest Research Group. 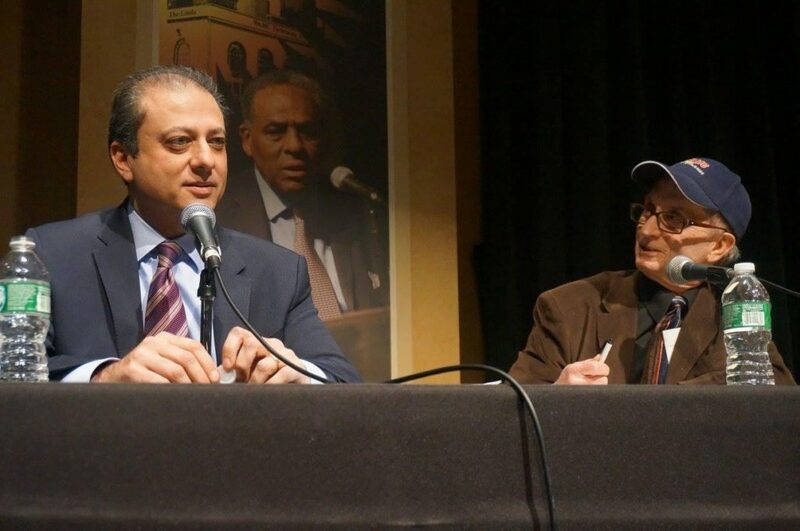 Bharara spearheaded the convictions of former state Assembly Speaker Sheldon Silver and former Senate Majority Leader Dean Skelos on federal corruption charges last year.